A judge on Wednesday postponed the trial of baseball star Roger Clemens for three months until July so his attorneys can review the voluminous evidence generated during a 2½-year investigation into whether he lied about using performance enhancing drugs. 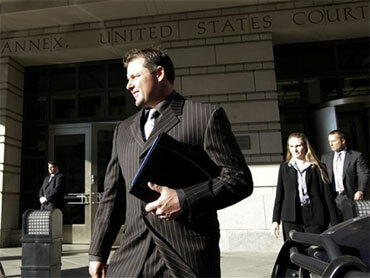 At a hearing in Washington federal court, prosecutors said the case has produced some 54,000 pages of evidence. They are required to turn over to the defense any material that might tend to clear the former major league pitcher. Clemens' attorney Rusty Hardin said they need more time to go through the material they receive and to hire an expert witness to examine the scientific evidence against Clemens, presumably including the syringes Clemens' former trainer says he used to inject the pitcher with the drugs. Torre: When Clemens Says Something, "He Believes It"
Is Roger Clemens Telling The Truth? Hardin also said baseball investigator George Mitchell and a congressional panel that examined the use of performance enhancing drugs are refusing to turn over material for the criminal case. He said the Mitchell team was claiming attorney-client and attorney work-product privileges and the committee was arguing that turning the material over would violate the separation of powers between the legislative and judicial branches. Hardin indicated he will seek a subpoena for the contested material, particularly any interviews with Clemens' accusers. U.S. District Judge Reggie Walton set a March 14 hearing on the matter and said he expected the Mitchell team and the committee would try to fight a subpoena. He said that battle could end up in appeals court, but he hoped it wouldn't delay the trial further. Clemens, wearing a dark pinstripe suit, dark shirt and silver paisley tie, did not comment, but sat taking notes during the half-hour hearing. As he left the courthouse escorted by federal marshals, he smiled broadly and said he felt "wonderful." Clemens pleaded not guilty on Aug. 30 and has long fought any suggestion that he cheated during a 23-season career that ended with 354 wins, 4,672 strikeouts and seven Cy Young awards. If convicted of six counts - three of making false statements, two of perjury and one of obstruction of Congress - Clemens could face up to 30 years in prison and a $1.5 million fine, although 15 to 21 months is the more likely sentence under federal guidelines. The charges stem from testimony he gave to Congress in 2008. He went before a House committee to clear his name after becoming a prominent figure in the Mitchell Report, which came out a year earlier with an unflinching account of baseball's drug crisis. Back then, Clemens testified: "Let me be clear. I have never taken steroids or HGH," human growth hormone. Clemens' former trainer Brian McNamee said the pitcher did use steroids and HGH. Former teammate Andy Pettitte also told congressional investigators that Clemens told him he had used HGH - a conversation Clemens said Pettitte "misremembers." Clemens was originally scheduled to go on trial in April. Hardin requested the trial be moved to September, saying they need to review statements from somewhere between 80 and 90 law enforcement officials who have written about the case. "We're reviewing the materials of a 2½-year investigation," Hardin said. Prosecutor Steve Durham said he didn't object to a delay, but requested that it only be until June. He said the bulk of evidence has already been turned over to the defense team, with "a few items going out the door in the next day or two." Hardin agreed that prosecutors had been "very forthcoming." Walton told the Clemens team the best he could do was to begin jury selection on July 6 because of other matters on his schedule. The attorneys estimated that they would need about six weeks for the trial.